This book is a true gem. For the very first pages you are taken by the beauty of the Welsh village as much as the main character Poppy. You become invested in the characters, rooting for their triumphs, and sharing their sadness. 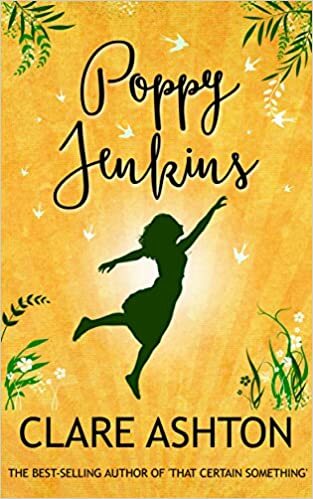 Poppy Jenkins is not the book to pass on. This one will steal your heart. Good luck on getting that back! Poppy Jenkins is one of those rare people that are almost too good to be true. This beautiful woman has a heart of gold, always seeing for the best in everyone and finding treasures among the mundane. Poppy has settled into her life into her birthplace, a small Welsh village, working in the small café above her mother’s store, walking her young sister to school most days, spending time with her cantankerous grandmother, she finds joy in doing the things most 30 year old’s would shun. You feel Poppy’s delight page after page, but also the undercurrent of sadness as she knows this is most likely the pinnacle of her life. 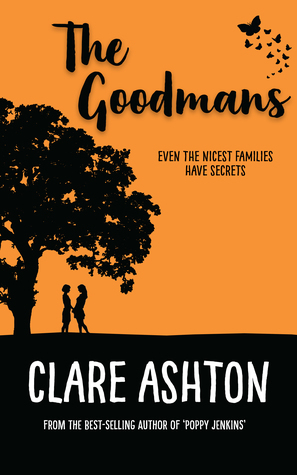 While it’s a fantastic life, Poppy feels as though she will never find her one true love, she knows everyone in her village, and let’s face it, those resources a null and void. Rosalyn Thorn has come back to village of Wells to care for her ailing father, riding in on her black sports car, looking too good for words. Rosalyn, Poppy childhood best friend left her in the dust never looking back. She was like a ghost tormenting Poppy’s memories. There is so much happiness and fused with sadness and despair hovering over the past between the two former friends. When Rosalyn comes back she stirs up Poppy’s emotions, her longing desire for true love and a heartache that has lasted nearly a decade. This is a classic tale of opposites attract, and Clare Ashton does it with heart wrenching emotion that will quickly turn into a smile. Rosalyn and Poppy were made for each other and their journey through hell and high water to get back to each other is quite well done. This book is fantastic and you will not be disappointed. I was given this novel by the author, Clare Ashton, in return for an honest review.